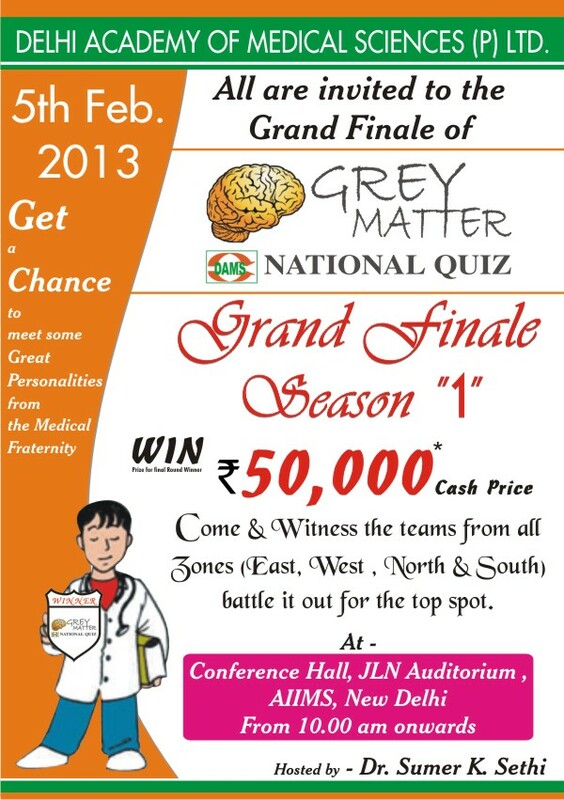 After year long process of preliminary college based and zonal rounds, finally time has come for the final round of DAMS 2012-13 grey matter quiz, which will be held in AIIMS on 5th Feb, the mecca of medical education in India and I ll be hosting this quiz. This quiz is part of our effort to spread and promote learning in medical students and working on our theme that learning can be fun. All medicos are invited. 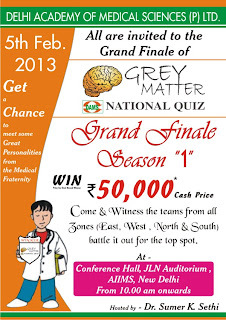 Personally i believe quizzes are an integral way of promoting competitive learning among medical students.